Save money without sacrificing performance with the LightWave ST-MTRJ OM2 Multimode Fiber Optic Patch Cable. 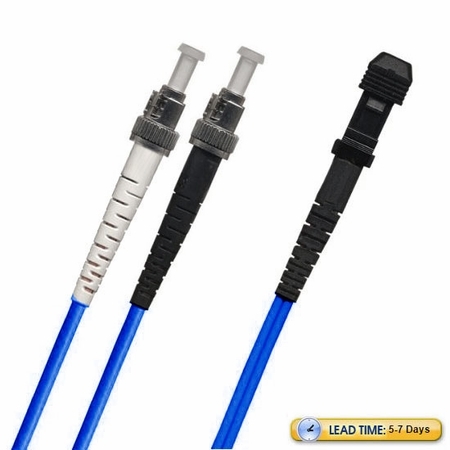 This cable features the reliable ST fiber connector on one end, and the MTRJ connector on the other end. Both connectors offer robust, reliable performance while maintaining their cost-competitiveness. Consider the ST-MTRJ fiber patch cable as a budget-friendly solution that can still meet your fiber optic demands. With the ST-MTRJ fiber optic cable in OM2 multimode, you can look forward to experiencing large data transmission over a 1Gbps link with a 50/125 micron glass fiber over a distance of up to 750 meters at a wavelength of 850nm, and over a distance of up to 550 meters at a wavelength of 1300nm. For a 10Gbps link, you can transfer data over a distance of up to 150 meters at an 850nm wavelength. All Lightwave brand fiber optic patch cables are individually tested to ensure reliable performance and meet Lightwave's high-quality standards. 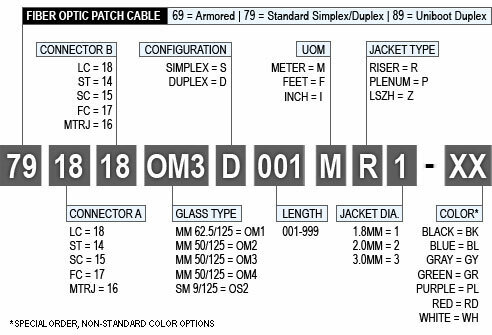 Test results for each cable are included in the with the product.